Study abroad offers students countless opportunities, ranging from intimately experiencing a new place and culture to learning a foreign language. In a globalized world, international experience gained from studying abroad is highly attractive to potential graduate programs and employers. Fortunately, the global outlook of many fields in the biological sciences as well as the flexibility of the zoology major make study abroad a feasible and appealing option for zoology students. Furthermore, zoology majors can take advantage of this wonderful opportunity during nearly any semester if they plan well and early. For more study abroad information, students are welcome to visit the Zoology Major Advising Page on the International Academic Programs website. Students are encouraged to meet with a department advisor as well as a study abroad advisor when planning their experience. The Undergraduate Zoological Society (UZS) explores the many diverse fields of zoology for undergraduate students interested in careers associated with zoology. UZS provides supplemental education in the field alongside undergraduate coursework and informs students of campus and community events that may enhance their understanding of zoology. UZS organizes field trips, brings in speakers, holds an advisor panel, and coordinates volunteer activities for its members. UZS also promotes socialization and networking among fellow zoology majors. Officers are elected each spring semester or filled by appointment as needed. Officers are required to help organize at least one event per semester and are expected to attend UZS meetings and events. 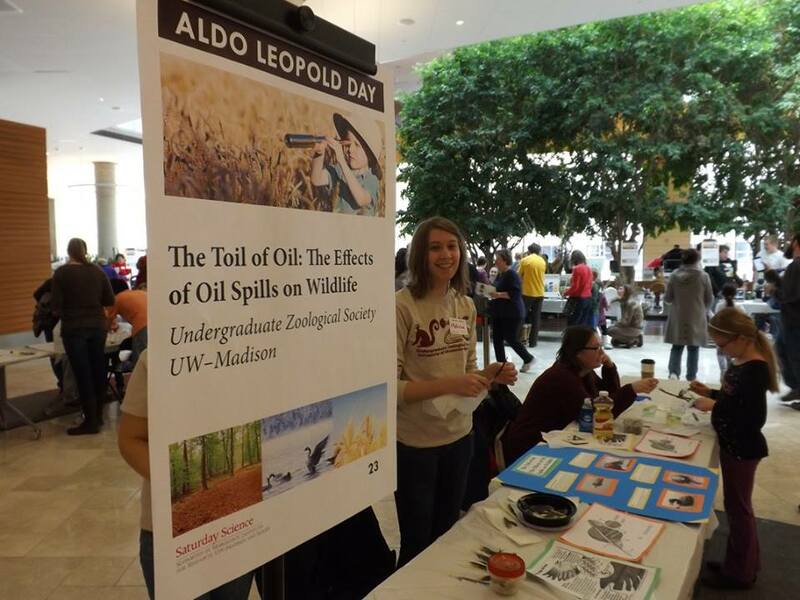 UZS members participate at Aldo Leopold Day in the Wisconsin Institute for Discovery. 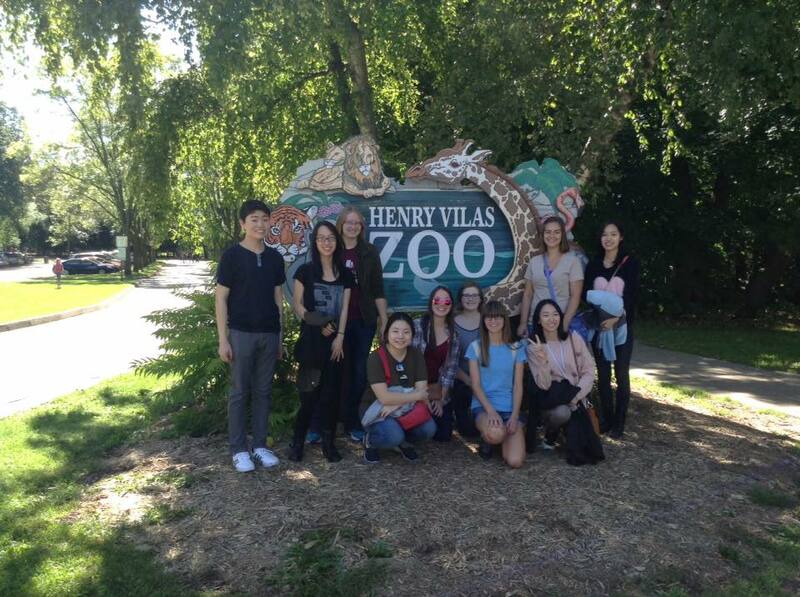 UZS members visit Madison's Henry Vilas Zoo after a day of sightseeing. 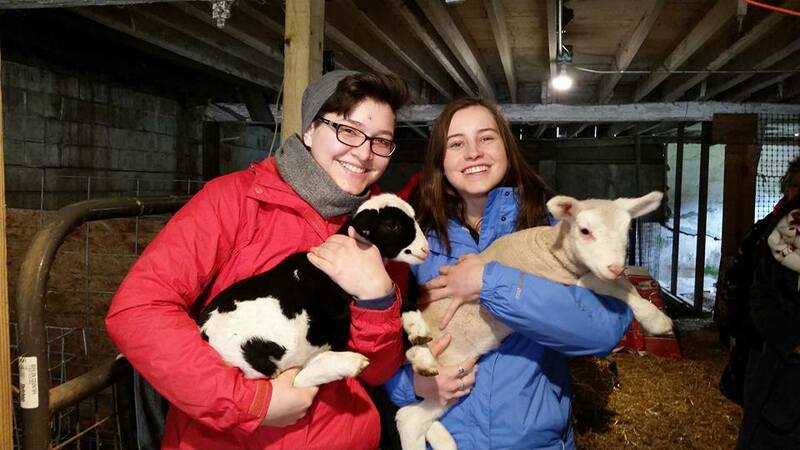 UZS members learn about animal behavior on a former professor's farm.